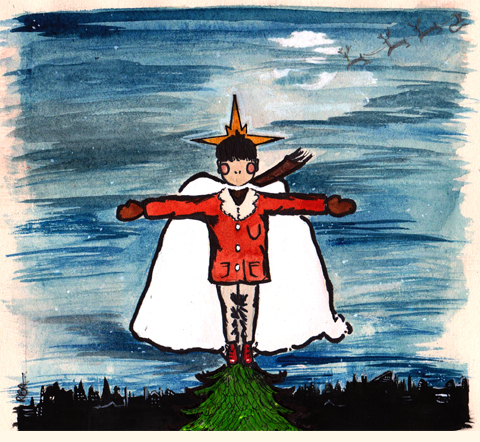 ﻿ Amelia's Magazine | Favourite Christmas Indie Tunes for 2012: listen to the best here! Christmas Olive Grove by Bex Bourne, based on As A Child I Awoke by Jo Mango. A hugely successful Christmas tune is the holy grail for many musicians: just think how many times Fairytale of New York has been played. With royalties like that you’d never need to work again, not that this is the only motivating factor for the majority of musicians. It would just be nice, wouldn’t it, to have a song played every year… welcomed back like a much missed friend and enjoyed once more as if it were new. All of which is great because it means that every time the Christmas season swings around there is a host of brilliant new themed tunes to add to the mix, each hoping for a slice of immortality. One release that is raising money for charity is the Olive Grove Records EP which features three original recordings and a cover of that famous Muppets song One More Sleep ’til Christmas. 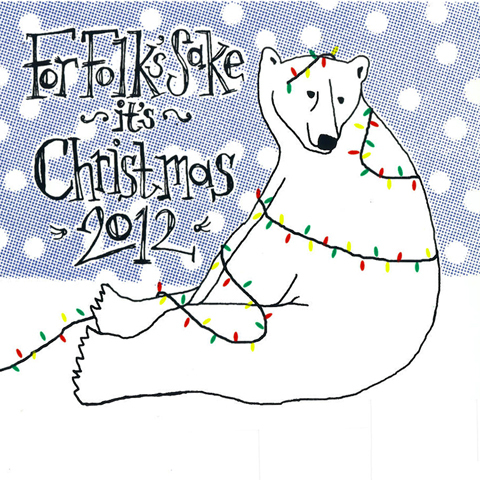 For Folk’s Sake it’s Christmas 2012 cover illustrated by Sarah Oxley. 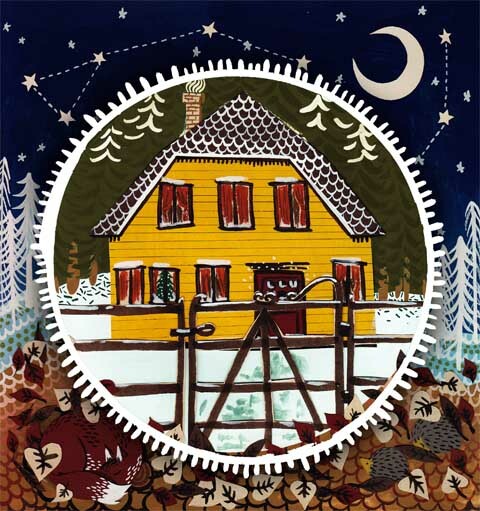 For Folk’s Sake It’s Christmas returns with another album featuring an absolutely stellar mix of tunes by the likes of Goodnight Lenin, Boat to Row and many others I don’t know but probably should. If you buy one thing this season make it this: the hard copy album has long since sold out but you can get the digital version for a piddling £7 and all profits go to the Evelina Children’s Hospital. It’s also worth downloading previous versions too. 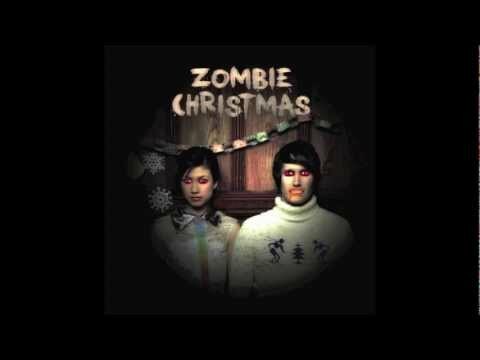 Zombie Christmas by Lorna Scobie. 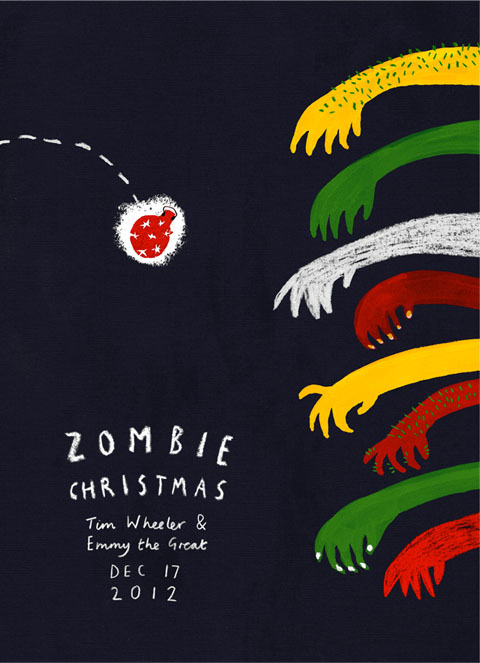 Other returnees are Tim Wheeler and Emmy the Great, who have created a new video to celebrate their Zombie Christmas, just one track from last year’s fab Christmas album. Armed only with an assortment of decorations they must defend themselves from their foes, mid gig. Kate Nash adopts that most seasonal of instruments, the sleigh bell, for Faith, her lo fi paen to the end of a tough year. It’s a taster of her new grungey sound, with a bass driven melody that segues into some pretty retro style harmonies. 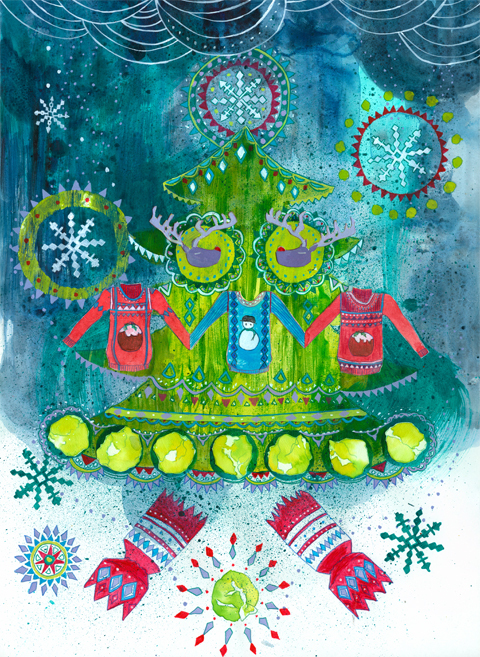 Holiday Joy by Jacqueline Valencia. One of my favourite new tracks this season is a cover of Mary Margaret O’Hara’s Evermore by Cold Specks, a gloriously cosy song that makes me want to curl up next to a roaring log fire. Tracey Thorn has released a collection of Christmas songs entitled Tinsel & Lights which comes accompanied with an innovative bit of marketing: open the doors on this virtual advent calendar to find a series of links leading to exclusive material. 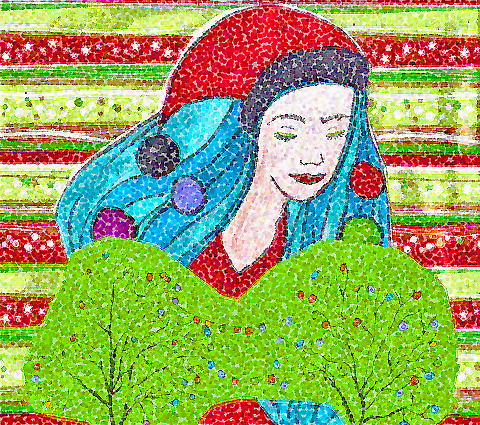 I like Joy… which is a self-penned tale of defiant seasonal celebration and In the Cold Cold Night is suitably frosty. In the Cold Cold Night by Christine Charnock. Tracey Thorn’s ‘In the Cold, Cold Night’ has dark and mysterious undertones to it which I wanted to reflect in my illustration response. The song creates an atmosphere of longing and loneliness, and a determination to find companionship in whatever way possible. 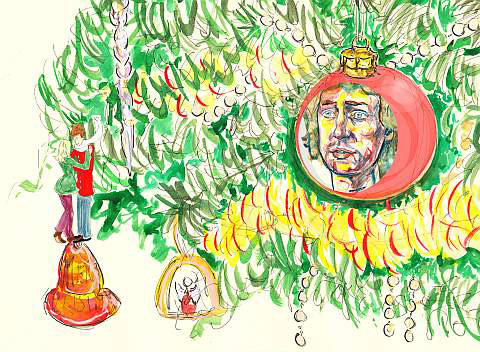 You can always bank on Darren Hayman for something a bit different: this year’s seasonal ditty concerns Oliver Cromwell‘s efforts to ban the festive occasion. He failed, luckily. 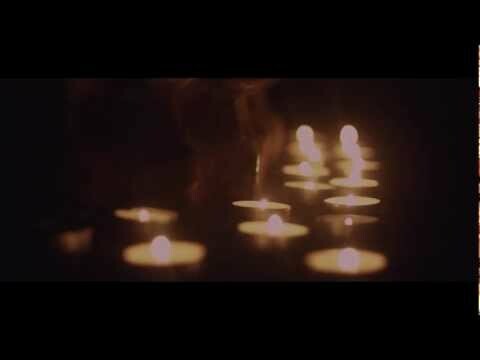 A really sweet video accompanies Dog is Dead‘s cover of Paul McCartney‘s classic Wonderful Christmastime. Dog is Dead – Wonderful Christmastime by Sharon Farrow. I tried to take elements of the song and I wanted to include several Christmassy things: reindeer, snow, the tree, crackers, along with the humorous elements of the video. Hence the Christmas jumpers and the veneration of the humble (but essential Christmas delight!) brussel sprout. Where would be without them this time of year? The Christmas jumpers are also a nod to the Save the Children Christmas jumper campaign. Tender Trap‘s Christmas tune Leaving Christmas Day tells the tale of a girl who discovers that her boyfriend is a Creationist Christian. The Other Guys is an A Cappella choir from St Andrews University and their Christmas Gets Worse Every Year is a beautifully sung reminder that sometimes nothing beats a classic bit of choral singing at Christmas time. 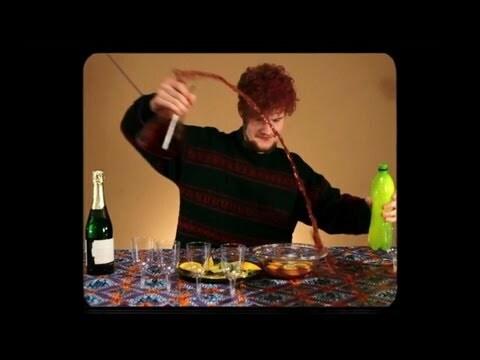 Christmas Gets Worse Every Year by Suky Goodfellow. The Voluntary Butler Scheme have released seasonal melody Quinzhee (Building Us A House Out Of Snow) with a grainy film of wintery figures building an igloo. Katy Edelsten illustrates The Voluntary Butler Scheme – House out of Snow. 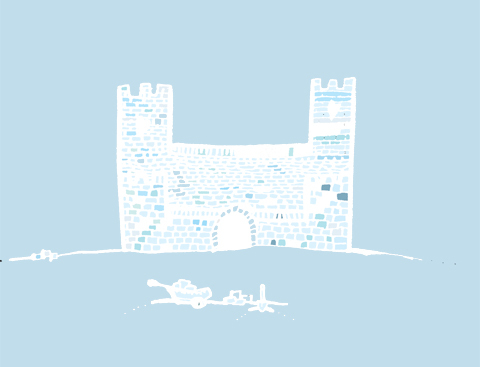 I wanted to create something that mixed the breezy tone of the song with the simple lyrics, I settled on the castle made of snow because i thought it captured both the the air of the song and the dreamy-Beach Boys-esque haze of the lyrics. The colours and naive style were also executed for this reason. 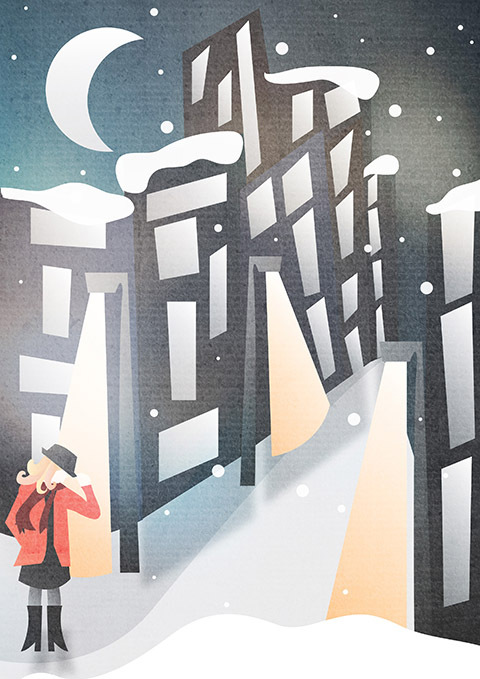 Katy Edelsten illustrates Dan Croll – Just Like Christmas. I was inspired by the artist himself- as the video is pretty captivating! I wanted something quite whimsical, with no line breaks, as the lyrics repeat and continue. 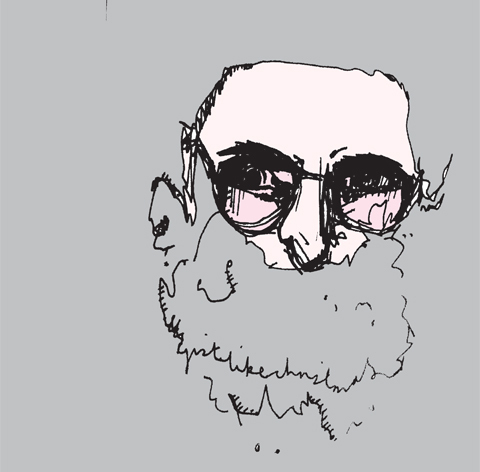 I used a continuous line, in conjunction with pale colours, to depict the artist as Father Christmas. 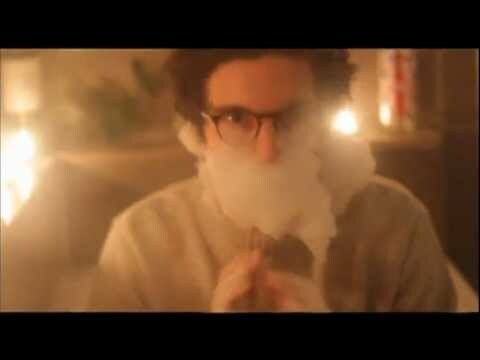 Inspired by the song (and Movember perhaps) I incorporated the song title into Dan Croll’s beard. Inspired by Light the Night to accompany the new film The Snowman and The Snowdog by Roshni Annia.